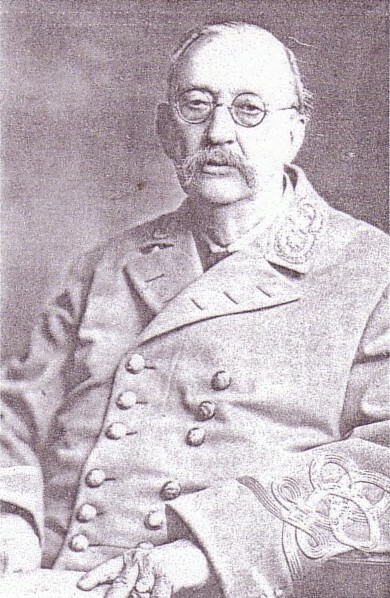 George H. Tichenor was born in Ohio County, Kentucky, on April 17, 1837. When George was a young enlisted soldier in the War between the States, he was appointed acting assistant surgeon. While at this post, he developed the original Dr. Tichenor's antiseptic formula. In 1863, he was wounded in a battle near Memphis. Fearing infection, army hospital surgeons ordered that his leg be amputated. Against medical advice, and with the assistance of friends, he left the hospital and saved his leg using the antiseptic formula he had developed. Dr. Tichenor went on to pioneer the use of antiseptic surgery during the Civil War, and saved the lives and limbs of many soldiers. After the war, he continued to use his antiseptic and was encouraged to manufacture and sell his amazing germ-killing formula. In 1905, the Dr. G. H. Tichenor Antiseptic Company was founded in New Orleans. Dr. Tichenor lived to the happy age of 85 - long enough to see the antiseptic that carried his name become a staple in thousands of homes across the land. Since its creation nearly 150 years ago, more than 500,000,000 bottles of Dr. Tichenor’s Antiseptic have been used, and that number continues growing to this day. Check out some our old radio spots below!